Today I'm bringing you a review from one of my favorite brands sold at Sephora: Kat Von D.
I have quite a few pieces from her line but this is the first time trying her semi-new blush. I bought the blush knowing I'd love it because, Kat offers high quality product at a reasonable price. As well as that fact that I just LOVE her. 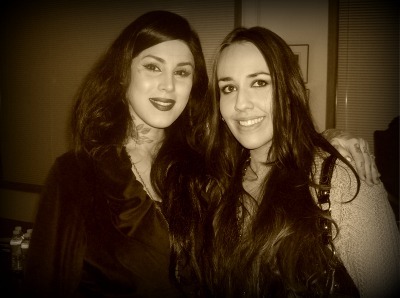 I've been a fan of Kat since her days on Miami Ink, I feel in love with her art. She is a very talented artist. If you don't even like tattoos you'll still appreciate her artwork. Everything Kat creates she does from the heart whether it be tattooing, drawing, music or makeup. She just knows what shes doing. I was lucky enough to meet her once 2 years ago, She was very sweet! A very kind soul. I bought the color "Truth" which Sephora calls a "natural flush pink", I'd call it a deep rose with a hint of a dark mauve. Which I think looks very nice of olive to dark skin tones. The packaging is also very pretty. I love the rose art! So nice. I also like how it's not a rubber finish so everything in your makeup bag doesn't stick to it like how Nars products do. Another plus to this blush over a cult favorite like Nars is that the cost is $4.00 cheaper and you get 0.25oz and in Nars blush you only get 0.16oz. So overall a better deal, I recommend next time you're at Sephora stop by the Kat Von D isle and give the blush a go. One other thing Id like to note about her makeup line is that alot of different people and ages can rock it. She carrys brights and neutrals. My Mom has a neutral palette of hers and loves it. Yes, I would. If you like wearing blush you'll love this line. 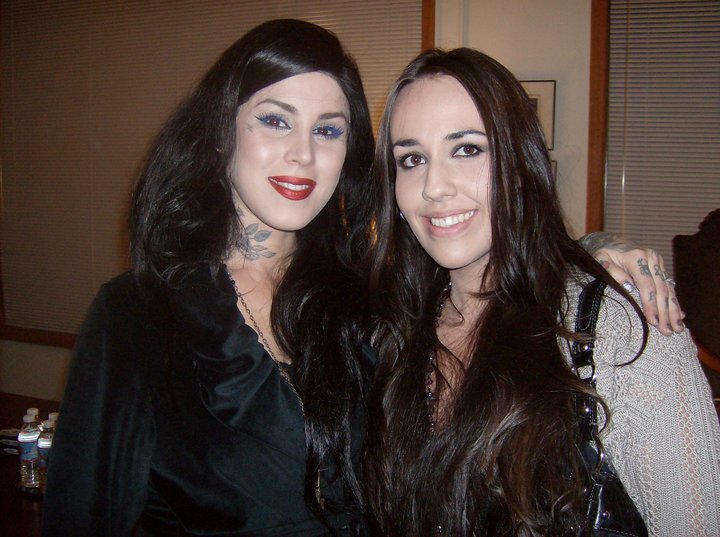 Have you tried Kat Von D Makeup? If so I'd love to hear how you liked it in the comments below.